Chicago-based Bavette’s brings top chops and moody vibes to the Strip. 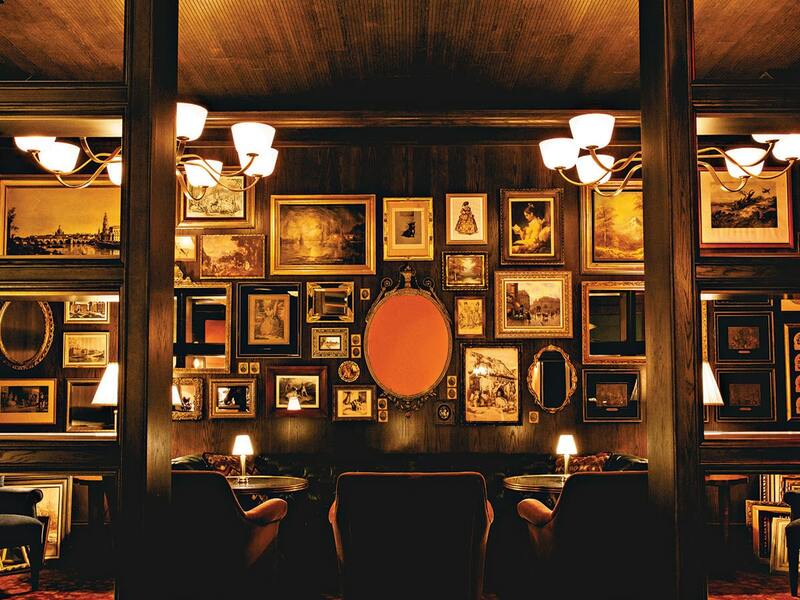 The restaurant’s sultry interiors transport guests to an intimate space that pays homage to Gilded Age opulence. When you step into Bavette’s, you are instantly seduced by the dimly lit room with jewel-toned Tiffany lamps, dark wood paneling and red leather booths. With its magnificent bar and hidden Champagne lounge in the back, it is a speak-easy for the modern age. Above, globe chandeliers emit a soft, golden glow, and as jazz plays faintly in the background, you want the evening, like that generously poured classic cocktail in front of you, to last and last. For those who eschew carnivorous pleasures, the chilled seafood plateau is a pescatarian delight of crab, lobster and shellfish. And what’s a good steakhouse without the supporting cast of sides? Brussels sprouts, truffle mac and cheese, and garlic mashed potatoes compete for calories. Dessert is a selection of classic American pies, if you were wise enough to leave room. When Monte Carlo’s transformation into Park MGM reaches its completion, Bavette’s will have claimed its spot as a game changer in the city’s steakhouse landscape. In fact, it already has.